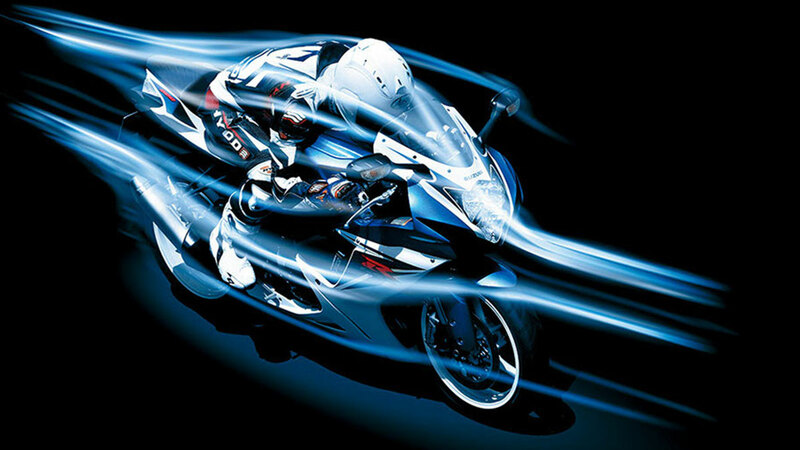 For the first time, the Suzuki GSX-R750 comeS with the revolutionary, race-developed Showa Big Piston Front-fork (BPF) inverted front suspension system. 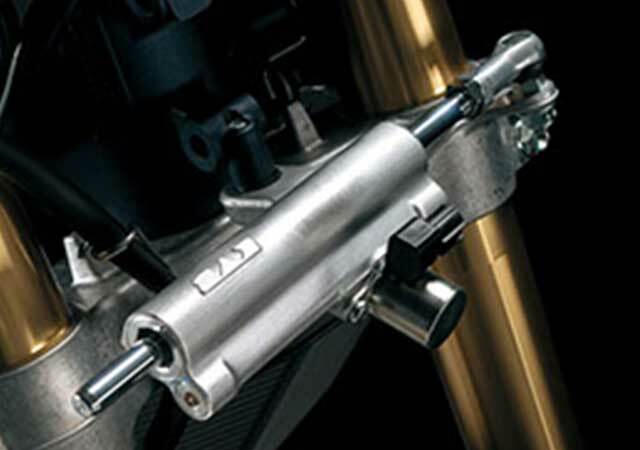 Conventional inverted front forks use a cartridge assembly that fits inside the fork leg on each side and typically incorporates a 20 mm piston to control damping. 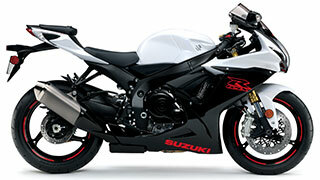 The Suzuki GSX-R750 comeSwith 310 mm fully-floating front brake discs and radial-mount, four-piston Brembo monoblock calipers. 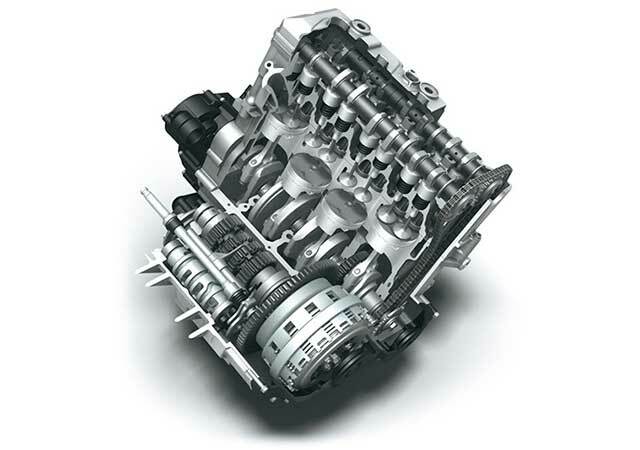 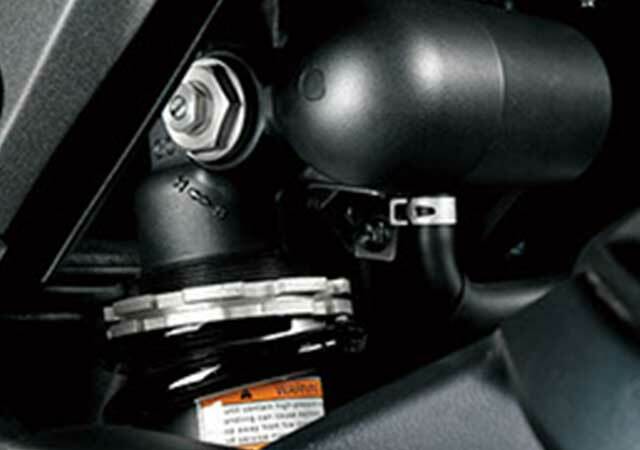 The 32 mm caliper pistons are staggered to promote even pad wear, the trailing pistons offset relative to the pad centerline. 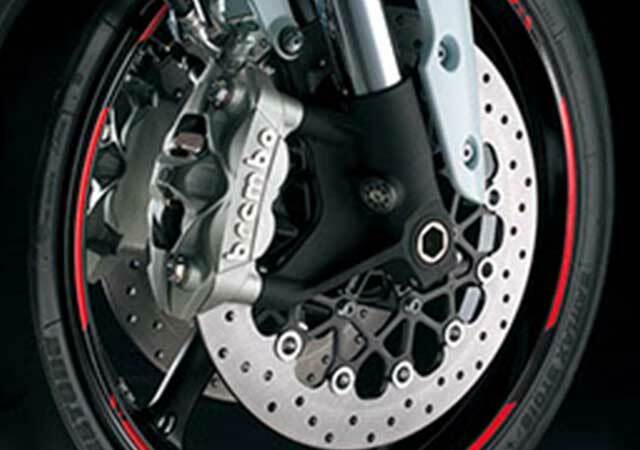 The monoblock design of the calipers makes them lighter, and their more rigid construction and increased piston area improve braking performance by providing the rider with more consistent power and better feel at the lever. 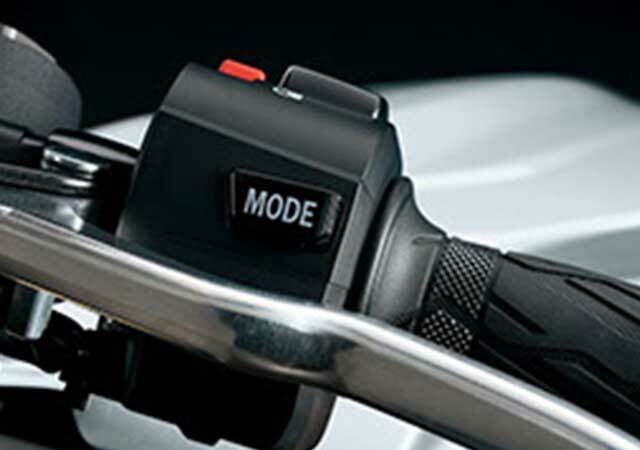 More compact and lighter instrument cluster installed on the GSX-R750 now comes standard with a built-in lap timer/stopwatch and a programmable, sequential engine rpm indicator system. 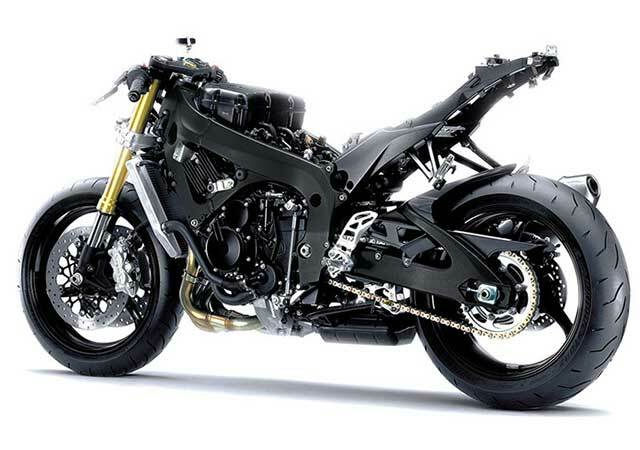 Both those features can be useful at track days or during club-racing weekends. 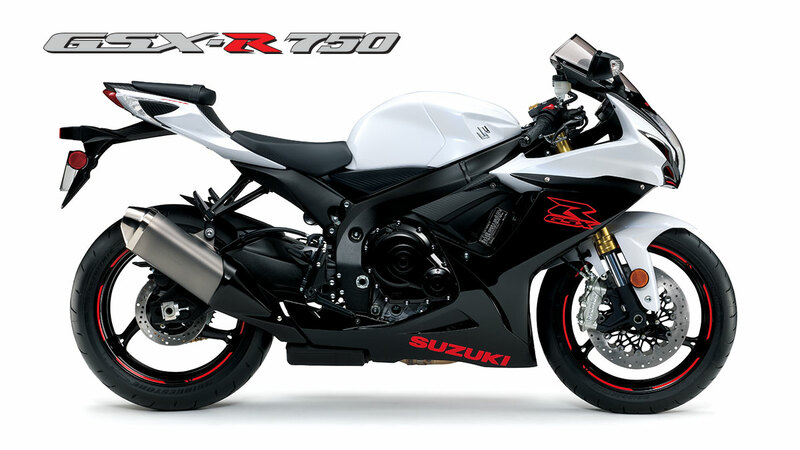 The GSX-R750 features a completely new chassis designs each based on a more compact, lighter twin-spar aluminum frame with a 15 mm shorter wheelbase. 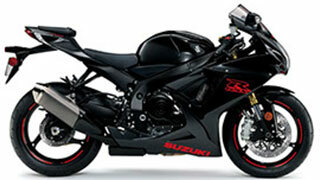 The GSX-R750’s wheelbase is now 1,390 mm.